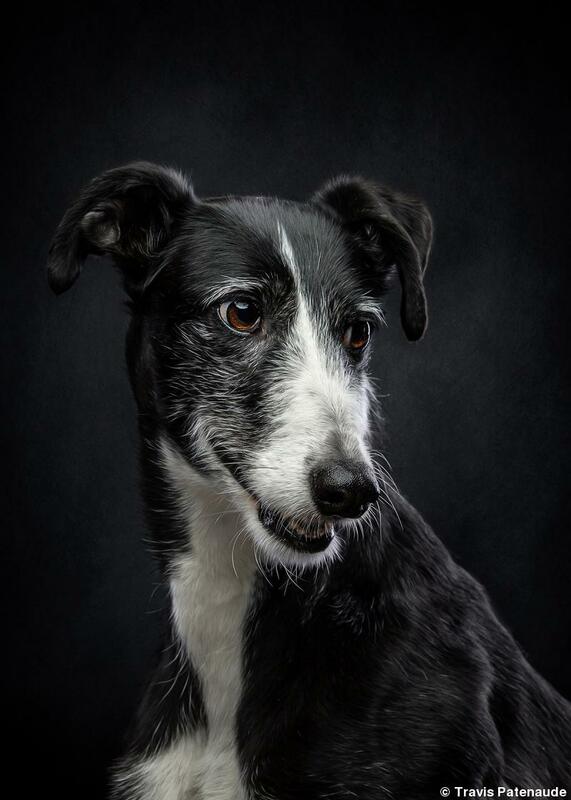 “All I Want is World Peace, And Perfect Eyebrows” was made as an adoption photo for Ceji, a Galgo Español rescue that photographer Travis Patenaude and his wife transported from Spain to Chicago with the hope of finding a forever home for the dog. The photograph was made in a temporary studio Patenaude set up in his garage. “With all our adoptable dogs I always try to capture their personalities in the photo and to hopefully draw attention to them,” he says. The image was intended to show the dog’s elegance while also evoking sympathy for the breed, which is one of the most persecuted in the world, he notes. “The photo worked as she was adopted shortly after it was posted and now has a family of her own.” Stink-Eye Photography is based in Crystal Lake, Illinois, and specializes in Spanish hunting dog photography. LIGHTING: The main light was a Flashpoint Xplor 600 into a 47.2-inch portable umbrella brolly reflector with the diffusion facing downward from above and in front of dog. 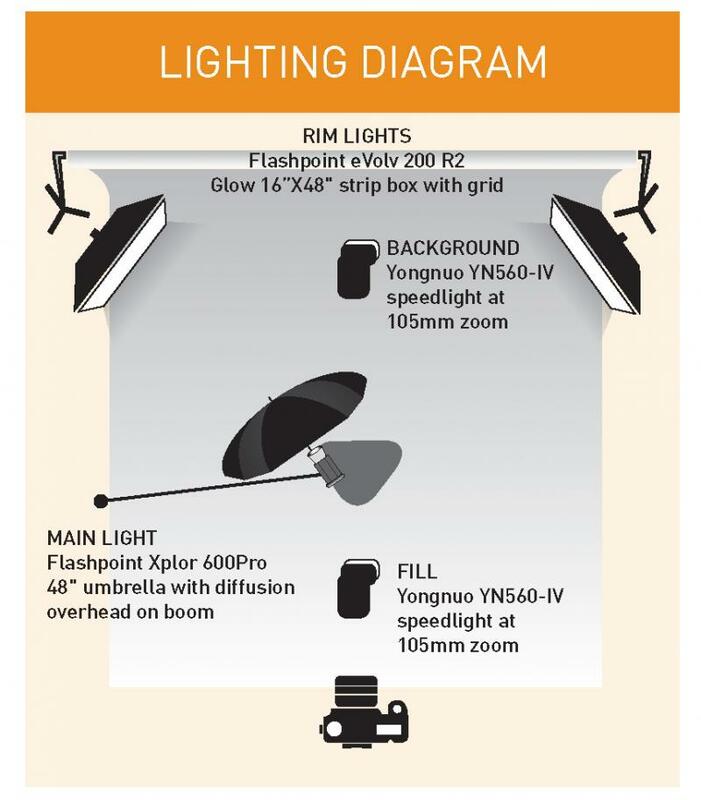 The fill light was a Yongnuo YN560-IV on the ground in front of the camera. Rim lights were two Flashpoint eVolv 200 R2s in Glow 16x48-inch strip boxes with grids. Back light was a Yongnuo YN560-IV at 105mm zoom. POST-CAPTURE: In Adobe Photoshop he made basic enhancements to color, shadow, and highlights, and used Nik Color Efex Pro for color and pro contrast. Topaz Adjust was used to bring out detail in the eyes and fur. Photoshop Oil Paint further enhanced the detail of the fur.